IC 342 is also known as Caldwell 5. It is located about 10 million light-years from our solar system. 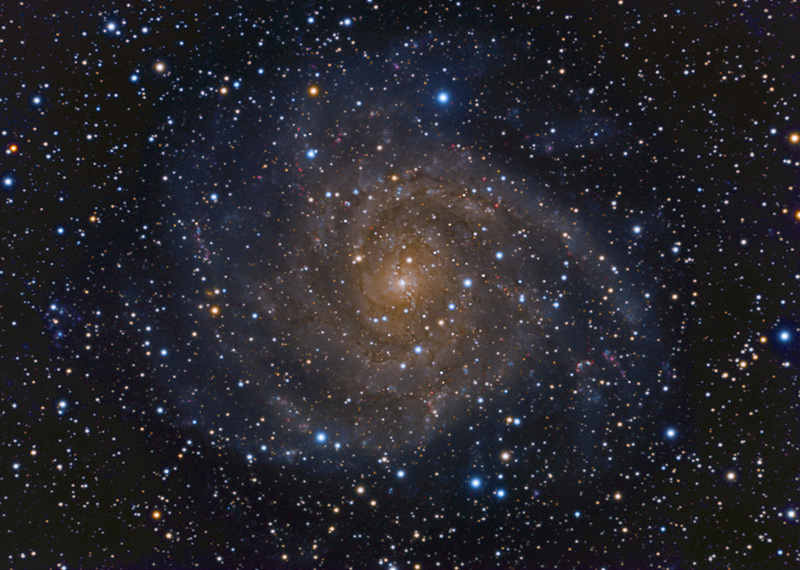 Our line of sight to the galaxy passes near the galactic equator of our own galaxy, where dust attenuates the light coming from IC 342.